An established leader of the surgical community in the area, Dr. K. Francis Lee is an accomplished Board-Certified General and Laparoscopic surgeon who has dedicated his practice to the treatment of vein disease. He is the Founder and Medical Director of Advanced Vein Care Center, Springfield’s choice medical practice committed to the surgical and non-surgical eradication of venous disorders. A long-time resident of Western Massachusetts, he has been practicing in the Greater Springfield Area for over eighteen years. A graduate of Stanford University, Palo Alto, California, he received his medical degree from Harvard Medical School, Boston, Massachusetts. He continued on to Duke University Medical Center, Durham, North Carolina and Virginia Commonwealth University Medical Center, Richmond, Virginia for his postgraduate surgical training. Dr. Lee is the former Chief of Trauma Services at Baystate Medical Center, Springfield, Massachusetts, which received its American College of Surgeons verification as a Level I Trauma Center during his tenure in 1996. He has received numerous awards and grants, including the W.K. Kellogg Foundation National Fellowship, recognizing him for his mid-career professional achievements and leadership. Dr. Lee has served on a number of national task forces and committees in the American College of Surgeons and the Society of Critical Care Medicine. He is a Fellow of the American College of Surgeons, and on the medical staff for Baystate Medical Center, Springfield, Massachusetts and Holyoke Medical Center, Holyoke, Massachusetts. Regarded as an authoritative source for the proper diagnosis and treatment of venous disease in this area, Dr. Lee’s vast experience in venous technology has become a valuable resource for both physicians and patients throughout the United States. Dr. Lee has over 50 peer-reviewed journal publications, most in prestigious cardiovascular journals, two books in surgical residency education, and a number of review articles and chapters currently found in medical textbooks. Dr. Lee established Advanced Vein Care Center in response to the increasing demand by the Greater Springfield area’s patients and referring physicians seeking a state-of-the-art center focused on the latest techniques and advanced treatments available within the venous field today. 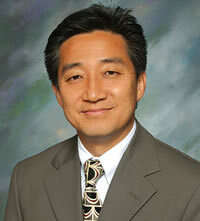 Do you have a question for Dr. K. Francis Lee? Feel free to contact us at Advanced Vein Care for a consultation at our Springfield, MA office. We can be reached by phone at (413) 732-4242 or complete an email form and we will do our best to respond within 1-3 business days.